For three decades science fiction legend Alan Dean Foster has captivated readers around the world, from his debut classic The Tar-Aiym Krang and his inspired scenario for the first Star Trek movie to a host of New York Times bestsellers, including Splinter of the Mind’s Eye and Flinx in Flux. In this collection of twenty brilliant odysseys of the imagination, Foster once again soars beyond the limits of reality—where the real thrills begin. . . .
NASA Sending Addicts to Mars! : It was the most insane idea in the annals of space travel—and the only one that would work. Diesel Dream: Sometimes on dark, lonely highways dreams do come true, and this trucker’s hope was the best one of all. Sideshow: Flinx hadn’t a clue about the alien dancer, but Pip knew trouble when she saw it. Empowered: A magnificent male discovers the not-so-super part about being a superhero. 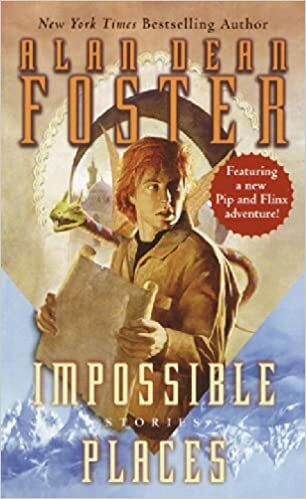 The Question: A bold adventurer determines to solve one of life’s profound mysteries.
. . . and fifteen other amazing stories!